A lot of hype certainly surrounded this highly anticipated return to Haddonfield, a deliberate recalibration that ignores all the previous follow-ups that have appeared over nearly four decades, instead championing itself as the one, true Part Two. Unfortunately, what we end up getting is a second-rate rehash of the classic 1978 original, long on homages and references, but short on fresh ideas and, most importantly, scares. Set forty years after the events of the John Carpenter film, this alternate timeline supposes that Michael was captured on that fateful night, and has been in a mental institution ever since, never talking or interacting with others, but just biding his time until his inevitable escape. Dr. Loomis (played by top character actor Donald Pleasance in a number of the earlier films), who did his best to keep the dangerous killer locked up, has long since passed away, so Michael is now overseen by Dr. Sartain (Haluk Bilginer, lacking his predecessor’s acting chops), who is similarly intrigued by his silent patient, but for different reasons. Two podcasters, Aaron (Jefferson Hall) and Dana (Rhian Rees), turn up to interview Michael, which for some reason is allowed, and Aaron unwisely tries to provoke his subject by pulling out that famous mask and dangling it in front of him. You know that Michael’s time is about to come. The two also interview Laurie Strode (Jamie Lee Curtis), whose life has been permanently scarred because of the trauma she suffered all those years ago. Now a recluse, locking herself inside her remote, heavily fortified home, Laurie is now a fully trained soldier (with weaponry to match), prepared for when Michael decides to come for her again. This obsession has estranged Laurie from her now-grown daughter Karen (Judy Greer), who was put through non-stop training when she was a child. Her only real contact with the outside world is with teenage granddaughter Allyson (Andi Matichak), who wants Laurie to get over the horrors of the past and move on. When Michael does break free from his confines, and heads for the town of Haddonfield, the confrontation that Laurie has been waiting for, and one that has kept her life in suspended animation for so long, will soon take place, but not before numerous innocents are cut down by the unstoppable maniac. Halloween 2018 stumbles from the very beginning, with its early scenes at the institution coming across as unconvincing and silly, rather than compelling and tense, while the new group of teens introduced are a dull bunch indeed. 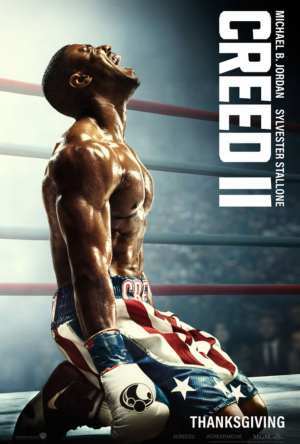 Generic, and saddled with clunky, mostly unfunny dialogue, they too often come across as bowling pins just waiting to be knocked over, and when that moment occurs, it’s after some kind of altercation that makes the audience care about them even less. Judy Greer is again miscast in a dramatic role, Will Patton is wasted as Officer Hawkins, not allowed to make any impression during his puzzlingly brief screen time, while Bilginer shamelessly overacts, alerting moviegoers to his motivations very early on. Thankfully, Curtis is in good form, investing Laurie with a balance of genuine strength and debilitating vulnerability, both caused by a horrific night of slaughter she can never forget. With so much of the film being dramatically inert, Curtis proves to be the sole point of human interest, but it makes the film severely lopsided and unnecessarily overlong (her character arc also closely resembles Sarah Connor’s in Terminator 2). David Gordon Green, who after making a striking feature film debut in 2000 with George Washington, disappointingly went down the moronic comedy route with Pineapple Express (2008), Your Highness (2011), and The Sitter (2011), finding a regular collaborator in comedian Danny McBride (the duo teamed up for the TV series Eastbound & Down and Vice Principals). Along with fellow Vice Principals scribe Jeff Fradley, the same kind of humour permeates throughout Halloween, not only bringing proceedings to an awkward halt, but also undermining every attempt Green makes at building suspense or horror, and it’s a clash that quickly irritates. Even more tiresome is Green’s endless imitating of iconic moments from Carpenter’s original, obviously meant as a tribute to the influential hit, but the constant reheating of scenes we know all-too-well (a problem that is exacerbated by an abundance of specific references), only makes the whole endeavour feel utterly predictable and redundant. Technically the film is slick enough, with cinematographer Michael Simmonds (Nerve, Vice Principals) wavering between Dean Cundey’s elegant, gliding work in the 1978 film (though the retro look more resembles Halloween II), and the rougher imagery of Phil Parmet, who lensed Rob Zombie’s highly divisive 2007 remake, but this change in style does prove distracting. By far the best thing about this new entry is the music score, composed by the man himself, John Carpenter, working alongside son Cody and fellow musician Daniel A. Davies. It is a soundtrack full of energy and atmospherics, something the film itself is sadly lacking, but it is wonderful to see Carpenter’s name on the big screen again. 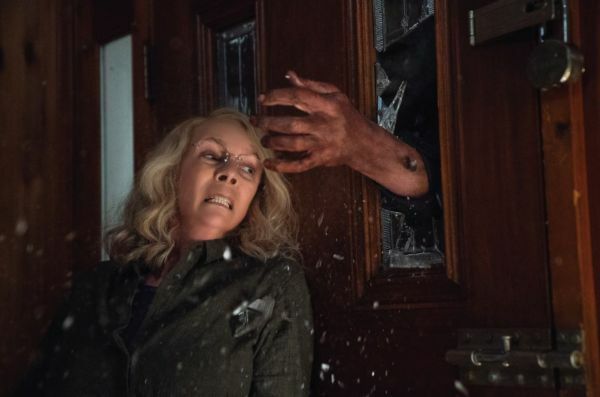 Halloween is a movie that promised a lot but delivers very little, with the film-makers frustratingly settling on nostalgia rather than bringing something genuinely new to the table, making it all the more disappointing. What we really want to see is a new John Carpenter film, rather than the uninspired facsimile Green and company have supplied here.